Within psycho-oncology clinical trials, usual care (UC) represents a common and important control condition. Yet recent shifts in oncology, coupled with insufficient description of such conditions, threaten to render UC increasingly difficult to define and interpret. This paper offers evidence of these shifts and recommendations for addressing them. The broader literature on usual care as a control condition in psychosocial/behavioral intervention trials was assessed, and usual care-controlled trials in psycho-oncology were selectively reviewed, toward to goal of conceptual synthesis. We offer evidence that (1) UC control conditions are often insufficiently defined and assessed; and (2) the context of supportive care in oncology has shifted in a manner that contributes to this problem, with implications for interpreting and comparing findings across clinical trials. Three converging findings support these conclusions. First, the scientific literature increasingly documents the diversity in how “usual care” conditions are defined across psychosocial and behavioral trials, with important considerations for trial interpretation. Second, evidence suggests that the availability of psychosocial oncology care has increased over the past few decades. The increasing availability and variety of psychosocial care introduces potential confounds for UC conditions. 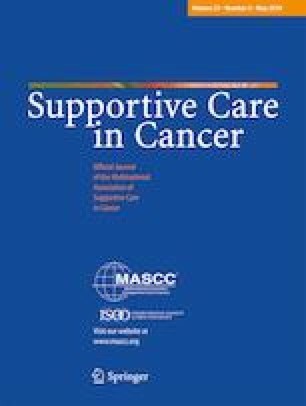 Third, mental health care trends in the general population affect the supportive interventions available to oncology patients in UC conditions today versus in the past. Shifts in psychosocial oncology and broader mental health care underscore the importance of carefully defining and assessing UC in psycho-oncology trials. Recommendations are offered for improving the design, evaluation, and interpretation of UC conditions, toward the ultimate goal of improving the quality of the evidence in psycho-oncology. J.J.A was supported by the American Cancer Society Research Scholar Grant (Arch, RSG-15-020-01–CPPB) and Pilot & Exploratory Palliative Care Grant (Arch, PEP-16-055-01) in preparing this manuscript; A.L.S. was supported by the Breast Cancer Research Foundation (Stanton, BCRF-20184915). The authors declare no conflicts of interest. The authors maintained full control and responsibility for the content and primary data connected to this manuscript. We agree to allow the journal to review our data if requested.